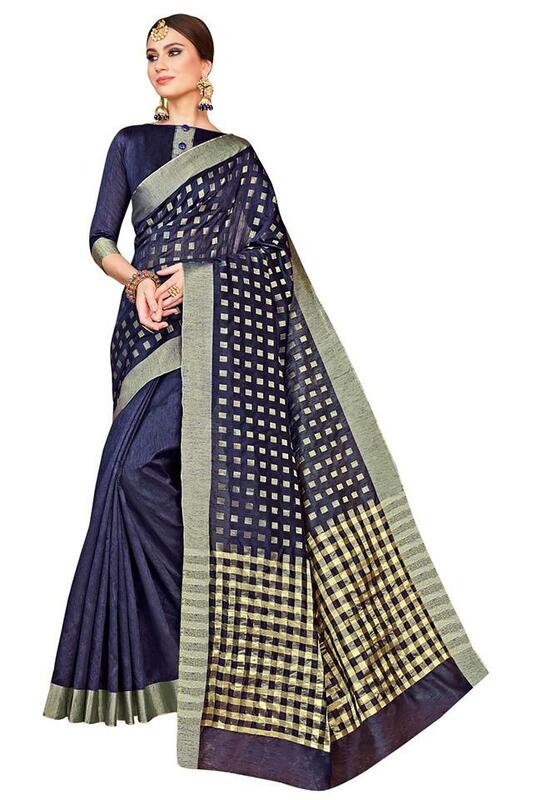 Earn appreciations for your rich taste in fashion by draping this saree with blouse piece from De Marca. It has been meticulously crafted from supreme quality cotton silk that makes it easy to maintain. Moreover, it features the gold woven work along with a solid pattern, which makes it look gorgeous. Express your style better by wearing this saree with blouse piece along with matching accessories and a pair of wedges. It flaunts a gold woven work that further accentuates its design.